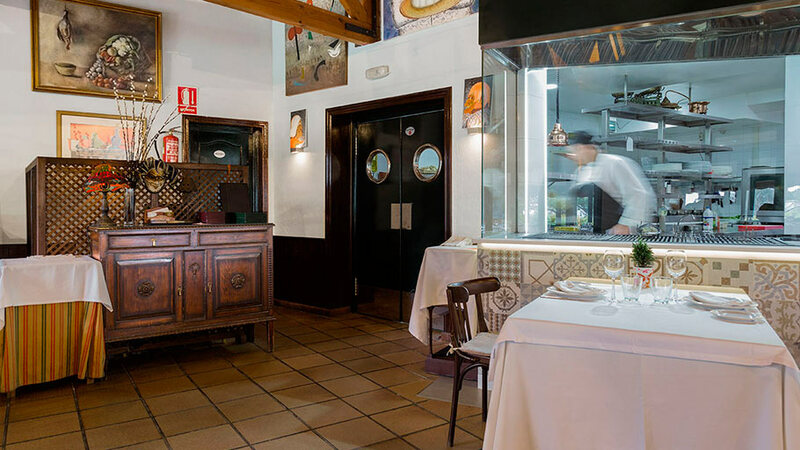 Located in the very heart of la Sierra de Guadarrama, 35 km away from the capital, La Cabaña del Soto is a restaurant with a tradition in the preparation of deliciously grilled dishes. 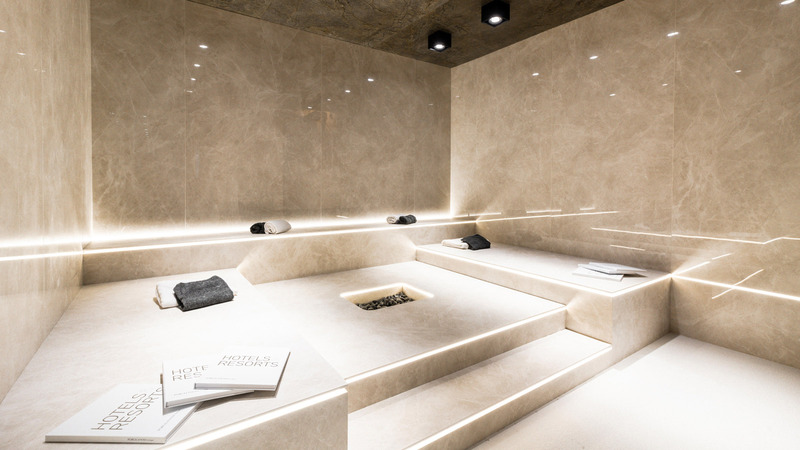 It has recently banked on both the materials and products from the PORCELANOSA Grupo for its interior design refurbishment; elegant, contemporary and tremendously cosy. 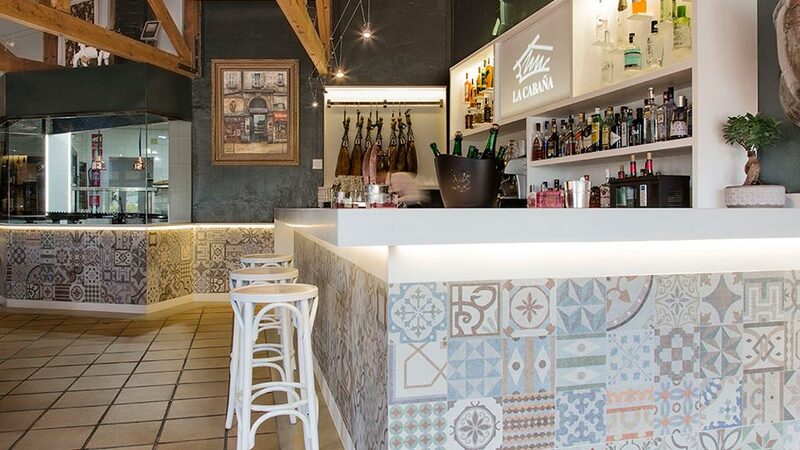 Being a true gastronomical reference in the Community of Madrid, this unique restaurant in Soto del Real counted on the state-of-the-art mineral compact, the KRION® Solid Surface for the bar counter, the wine racks, the ham stand, and the bathroom doors frames, among other parts. 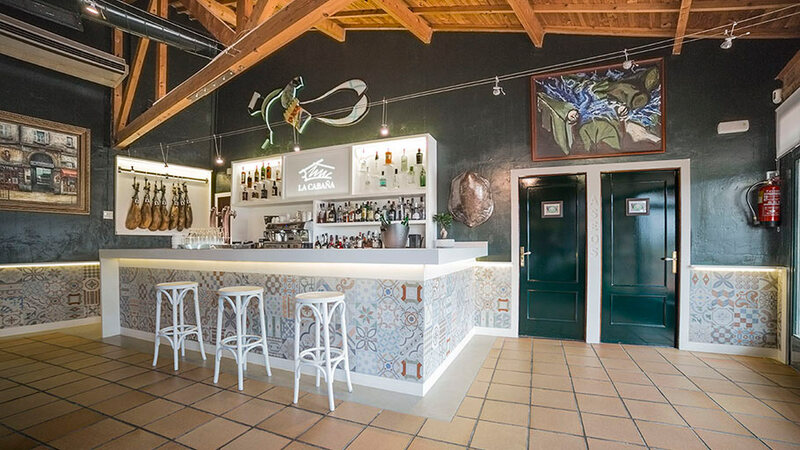 The KRION® acrylic stone was also used for the restaurant shelves, even including, thanks to its malleability and backlighting ability, the milled bas-relief restaurant trademark. KRION® turns out to be the ideal material for the restoration because of its high resistance, simple maintenance and anti-bacterial properties. 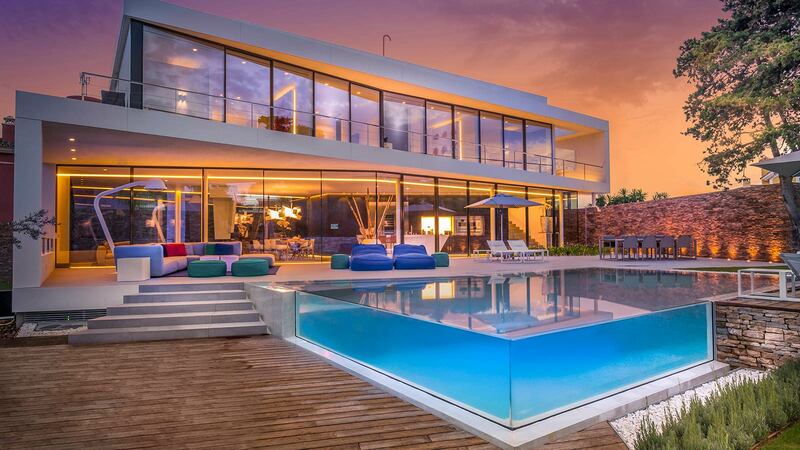 Above all, in its key colour, the 1100 Snow White, which has been the choice by Arco Rusticon Constructora for this project. 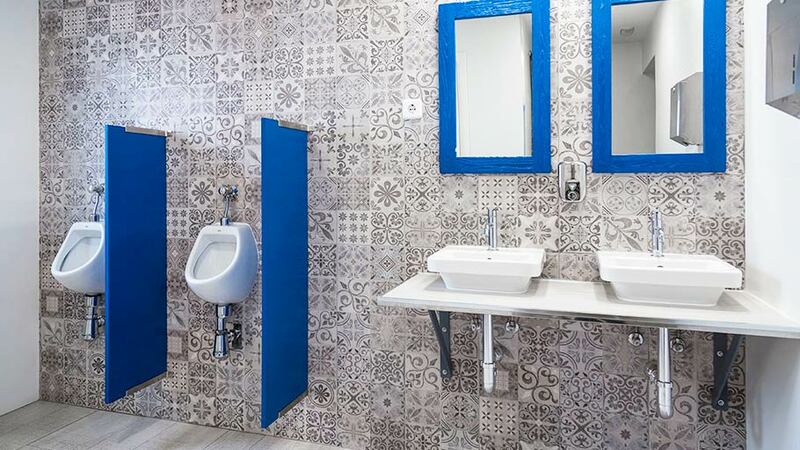 It is worth highlighting another materials in this interior design project for La Cabaña del Soto, such as the hydraulic-tile inspiration flooring and ceramic wall tiles, which provide an excellent timeless and vintage touch. 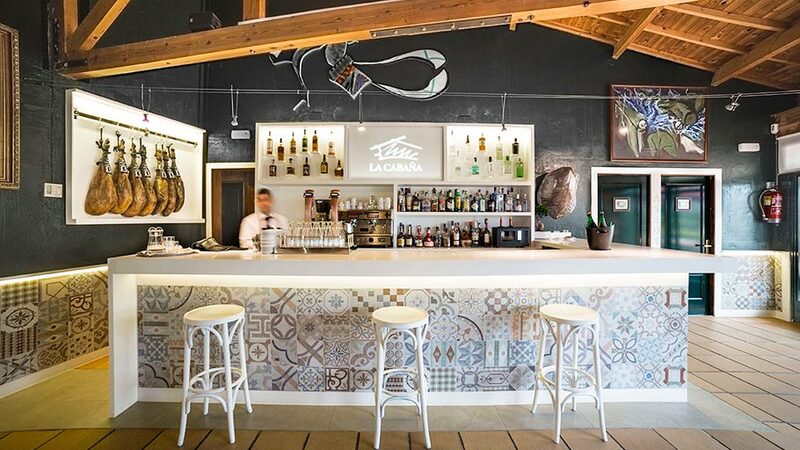 Specifically, for both the bar counter and the dining-room coverings, the Barcelona E wall tile by Porcelanosa has been the choice, whereas for the bathroom, the Antique Grey model has been used. It is in this latter space where a very fine and minimalist atmosphere is achieved, thanks to the excellent combination of the hydraulic porcelain of Porcelanosa, together with the Oxford Silver PAR-KER ceramic parquet, which also belongs to the firm Porcelanosa. Butech, for its part, has also been able provide this project with its innovation regarding building systems. 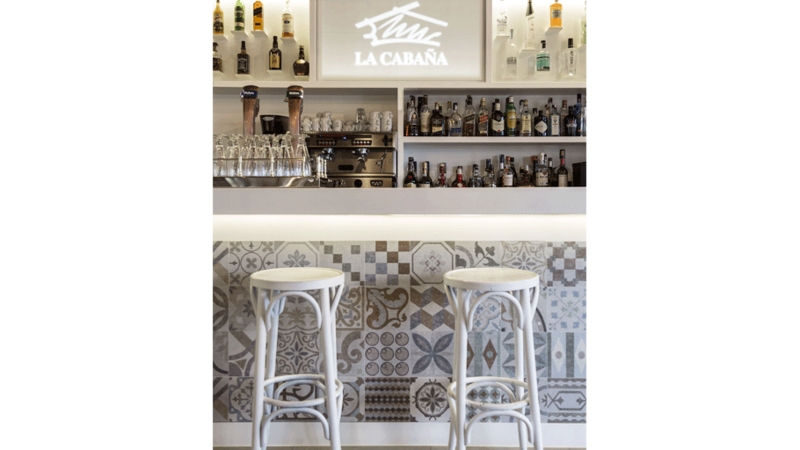 It has carried out the integration of the Flexitec PRO material and self-levelling crossheads along the whole flooring in La Cabaña del Soto. 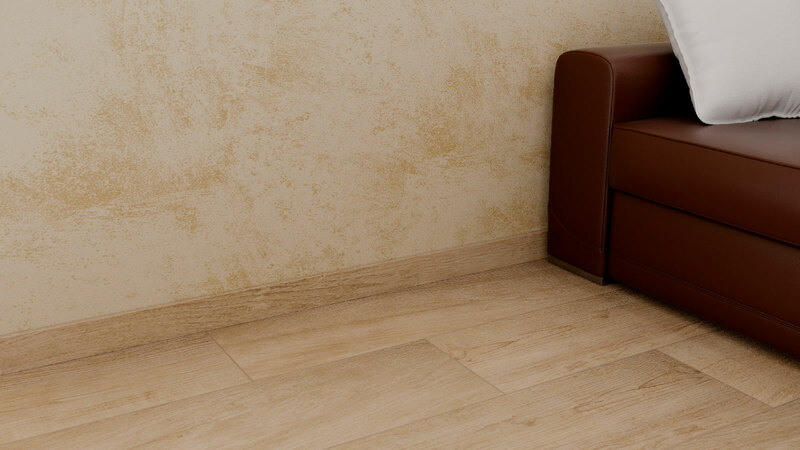 Likewise, Butech designs such as grouting material –Colorstuk Rapid- have also been integrated. 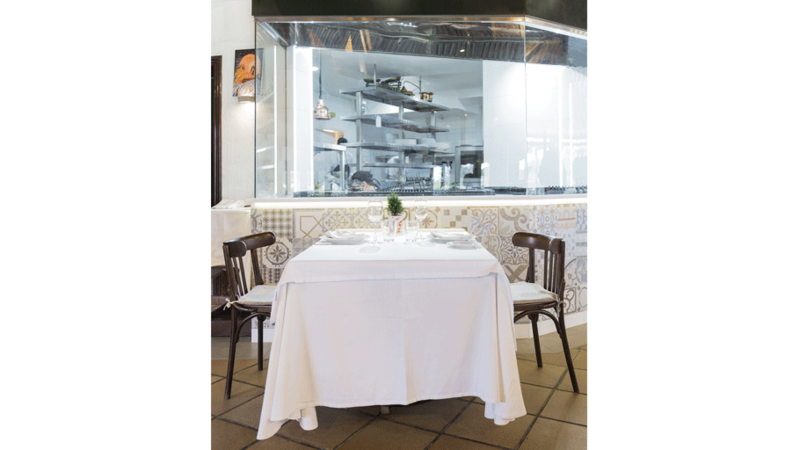 It is a project where design is intermingled with the high cuisine, by means of the most delicious meat, fish and grilled vegetable dishes. 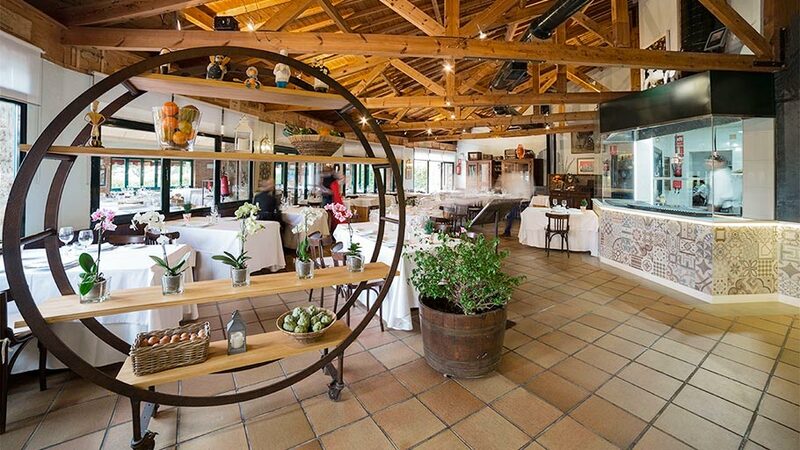 La Cabaña del Soto, a restaurant where the “heat” turns out to be the protagonist.